Trio with guitar virtuoso Rez Abbasi and tabla star Dan Weiss. This ensemble debuted at Joe's Pub in January 2006. CD released in November 2008. Apti reviewed in Rolling Stone and The Buffalo News. Apti featured on PRI's The World. Listen to tracks from the album here. 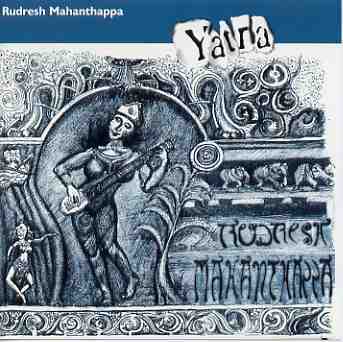 A collaboration with Carnatic saxophone giant Kadri Gopalnath which also features A. Kanykumari on violin, Rez Abbasi on guitars, Carlo de Rosa on bass, Poovalur Sriji on mridangam, and royal hartigan on drums. Read the the Pi press release to learn more about the project. Read reviews here and here. Listen to tracks and watch videos on the Dakshina myspace page. Buy the album from Amazon, at your favorite CD store, from your preferred digital download service such as iTunes, or from Pi Recordings. Read reviews here and here and here. Buy the album from the Downtown Music Gallery or on iTunes. 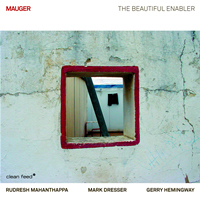 A quartet album featuring Vijay Iyer on piano, François Moutin on bass, and Dan Weiss on drums. The compositions are derived from methods and concepts of cryptography and number theory. Packaging includes encoded messages and a decoding device! Listen to a feature about Codebook on American Public Media's Weekend America radio show. Read more about the music at wired.com and Science Magazine. 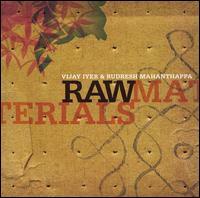 This duo album with pianist Vijay Iyer has been a major collaboration for the past 10 years. This self-titled CD is their first release. To listen to more of Raw Materials, visit the their page on myspace.com. Buy the album here or on iTunes. This quartet album featuring Vijay Iyer on piano, François Moutin on bass, and Elliot Humberto Kavee on drums contains music from a suite entitled "Mother Tongue: Do You Speak Indian?" All of the compositions are based on melodic transcriptions of Indian-Americans responding to such a question in their native Indian language. You can learn more about how this music was conceived by clicking here. “Black Water” is an expression that Indian immigrants have used to describe the transformation of one’s cultural identity upon moving to the West. In essence, it is a term that is broadly used to refer to the issues that arise in defining Indian-American diasporic identity. 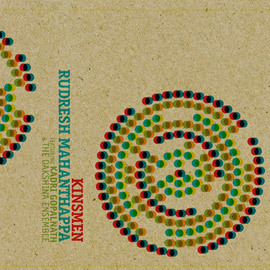 Rudresh conveys varying aspects of bi-cultural existence with the same quartet as above. Rudresh's first album features Ryan Shultz on bass trumpet, Jim Trompeter on piano, Larry Kohut on bass, and Jerry Steinhilber on drums. As a sideman . . .